Pre-season is upon us and we will take a look at just how, the very best teams and stars train ahead of the beginning of the season. To begin with we stop by Manchester United's training ground and take a closer look at what Rooney and Robin van Persie's training style is like. It takes hard work and training, to be completely ready, for when the season kicks off again. This is why all the biggest stars around the world are currently sweating away their summer holidays, in tough training sessions. They have only 3 things on their mind right now: Work, Work and Work. Maybe with a little added work for spice. And when you spend the most of the day preparing for the new season, then it is imperative that you have the right gear. This is why we here at Unisport in the coming period will take a look at what gear it is that the professionals are wearing. First stop is Manchester United, where we take a closer look, at how the two attacking aces, Robin van Persie and Wayne Rooney are preparing for the new season. 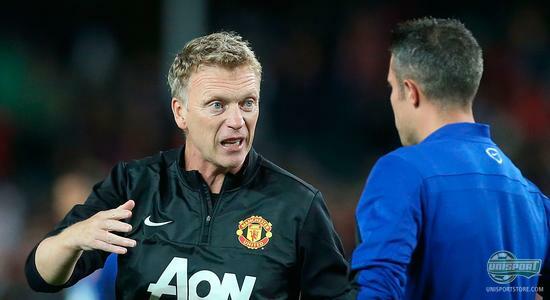 When the Premier League is finally kicked off again, 24 days from now, it will be exciting to see just how David Moyes handles the luxury problem of having two massive stars like Rooney and van Persie  depending on whether or not Rooney is still there. 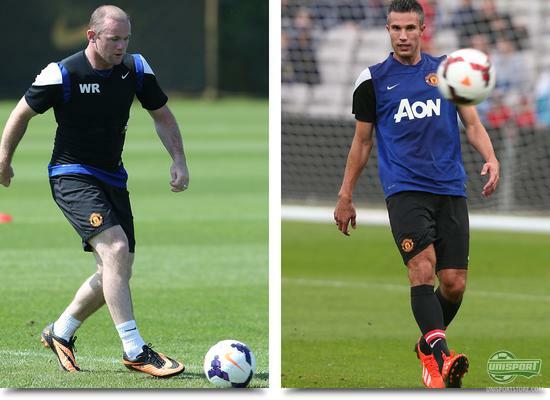 Rooney has missed some of pre-season training with an injury, but has been on the training pitch a couple of times. He looks relaxed in any case, when he turns up for training wearing a pair of Nike bathing sandals. 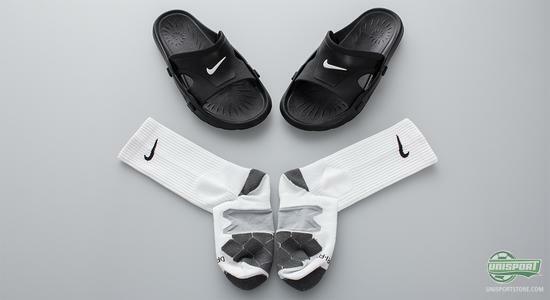 These sandals excel at being comfortable to wear, so when you then pair them with a pair of DriFit socks, you are ensured that your feet will stay nice and cool and react like they should. The socks give a compressing effect, which increases blood circulation and has proven to be very popular among the professionals. 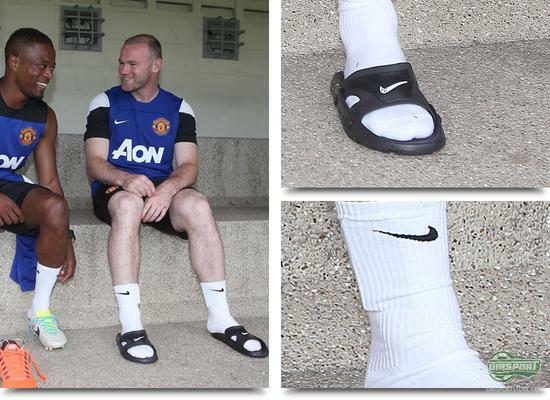 It is however the vast minority of players, who have gotten in shape while wearing sandals and therefore Wayne Rooney naturally hops in the new Nike Hypervenom Phantom. 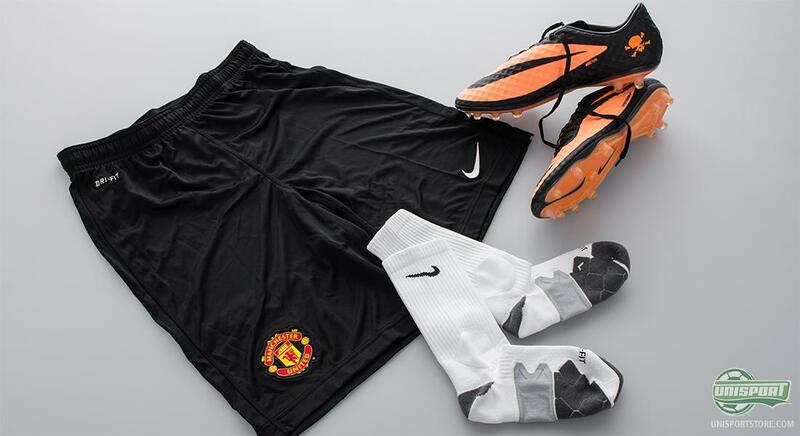 The boots look awesome together with Manchester Uniteds new training shorts and are Rooney's new weapon of choice for next season. Rooney is together with Neymar Jr. one of the biggest names connected with the Hypervenom and he has played with them since the launch. He used them to great effect during training, together with the smart vest he is wearing, which measures your movement. Even though it is the upstart phase, it's not all about running  and the the ball needs to be kicked around a little too. 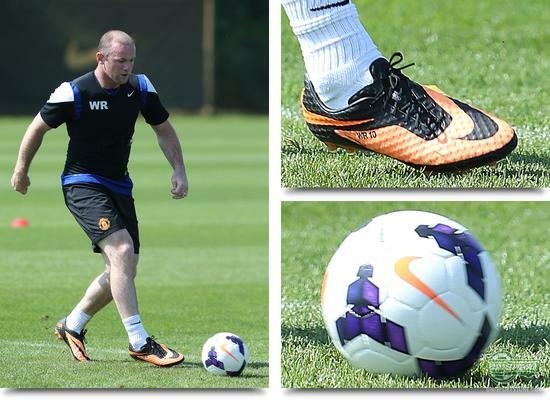 To be completely prepared for the new season, Manchester United have readied themselves with the new Nike Incyte ball. Underneath the vest measuring Wayne Rooneys data he has the nice Manchester United training shirt, so no one is in doubt of where he belongs  for now at least. The shirt has a nice and tight fit, while still having excellent ventilation. 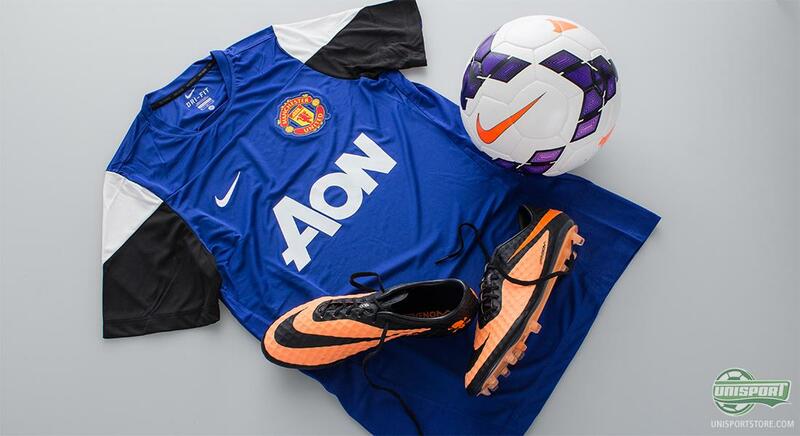 It is part of Nike's training-collection, which is made specifically for their biggest clubs. Wayne Rooney's strike partner, Robin van Persie, is also in full swing during pre-season training and preparing to try and replicate his astounding début season for Manchester United. Here it is worth noting that it looks like RVP has definitively changed out his Predator AdiPower with the Adidas F50 Adizero. Funnily enough Van Persie has had them built on an Adipower-sole instead of the regular Sprintfram 2.0 sole. 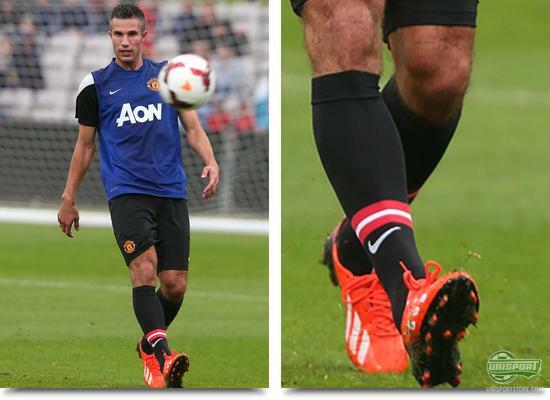 They look sharp when paired with the Manchester United home socks and The Flying Dutchman looks like a true Red Devil. What Wayne Rooney and Robin van Persie get out of their training will be exciting to see, once the Premier League kicks off again on the 17th of August. What do you think about all the cool gear they wear? 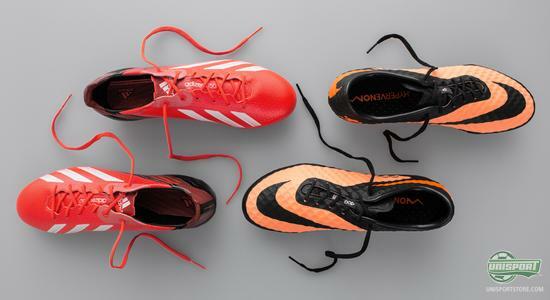 Would you rather have Rooney's Hypervenom, or van Persie's Adizero? As always we would love to hear from you in the comment-section down below, on Facebook and on Twitter.